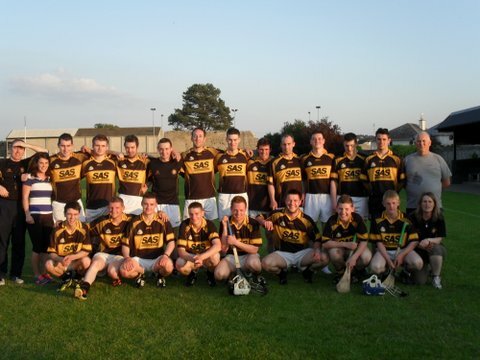 Last Saturday night in Fethard, our Junior hurlers won their second group game against Clonmel Og. It was a beautiful evening in Fethard and the field was in great condition. The game as a whole was very tightly balanced with the lead changing hands on a number of occasions. The main difference between the teams were the three goals from St. Pats. These goals came at crucial times, just when Clonmel Og were getting a grip on the game. They say goals win matches and this was very true in this case. Clonmel Og looked as if they had the game won coming up to the finish but a long range free, looked as if it went all the way to the net in the dying minutes to give the Drangan, Cloneen lads a point advantage. There is a lot to play for yet for both teams in this years championship but Pats will be happy to have two wins from two. Team; J. Moroney, K.Clancy, C.Dunne, P.Moroney, N. Kearney, T. O’Brien, D. Molloy, S.Gorey, C. Barry, N.Gleeson, A.Cronin, R.Maher, B.Gleeson, R.McCormack, R.Needham. This entry was posted on June 10, 2013 at 3:52 pm and is filed under Hurling with tags Drangan. You can follow any responses to this entry through the RSS 2.0 feed. You can leave a response, or trackback from your own site.